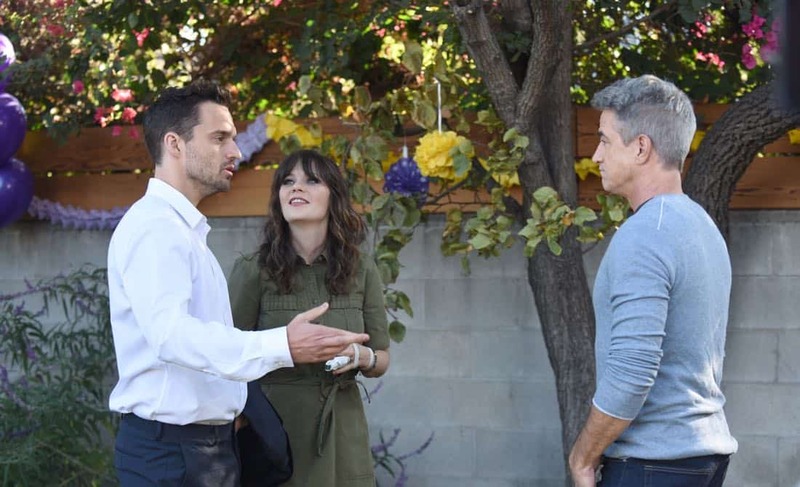 Picking up approximately three years after the Season Six finale, Jess and Nick return from a European book tour for “The Pepperwood Chronicles.” Schmidt and Cece celebrate their daughter, Ruth’s (Rhiannon and Danielle Rockoff), birthday with a party, where Jess runs into her ex, Russell (guest star Dermot Mulroney). 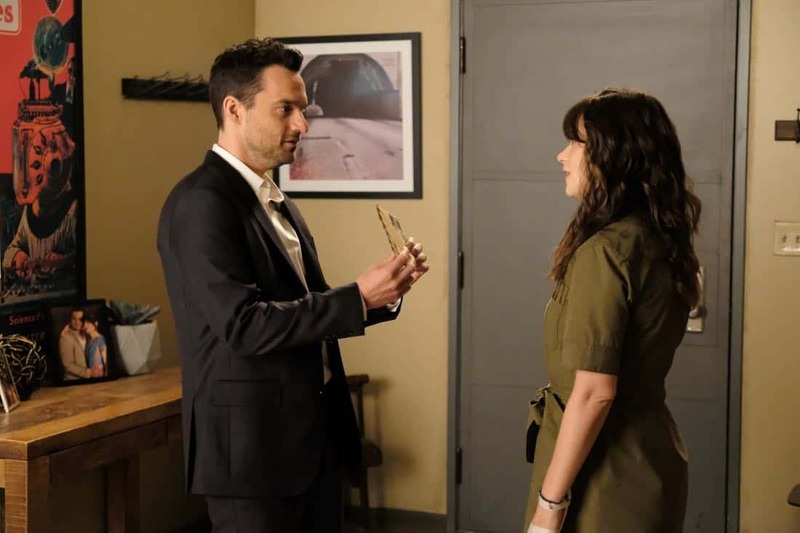 Meanwhile, Winston and Aly (guest star Nasim Pedrad) try to pick a pregnancy photo in the all-new “About Three Years Later” season premiere episode of NEW GIRL airing Tuesday, April 10 (9:30-10:00 PM ET/PT) on FOX. 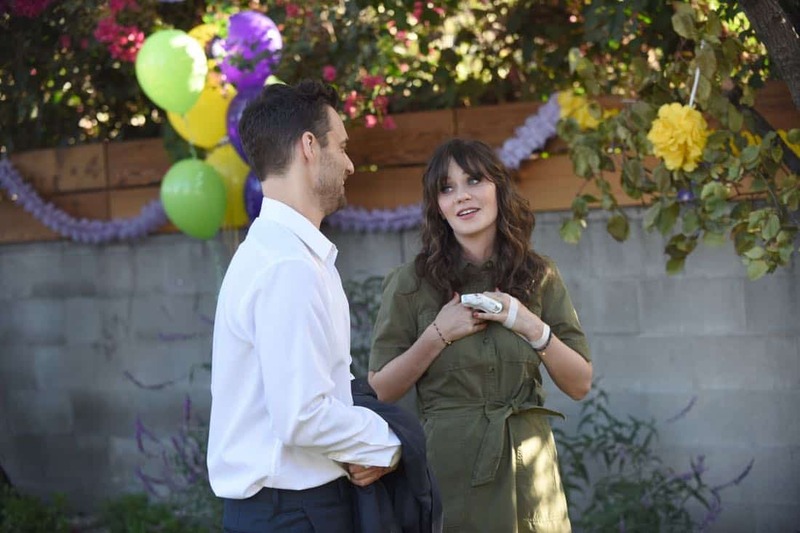 (NG-701) (TV-14 D, L, V) NEW GIRL Season 7 Episode 1 Photos About Three Years Later. 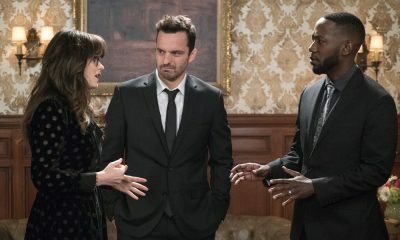 The seventh and final season of the critically acclaimed and award-nominated NEW GIRL will premiere Tuesday, April 10 (9:30-10:00 PM ET/PT) on FOX. 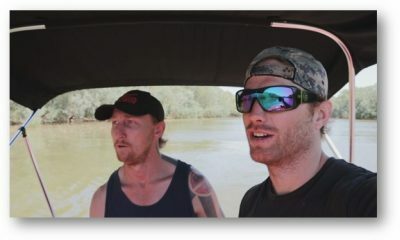 The eight-episode final season will have a special one-hour finale on Tuesday, May 15 (9:00-10:00 PM ET/PT). 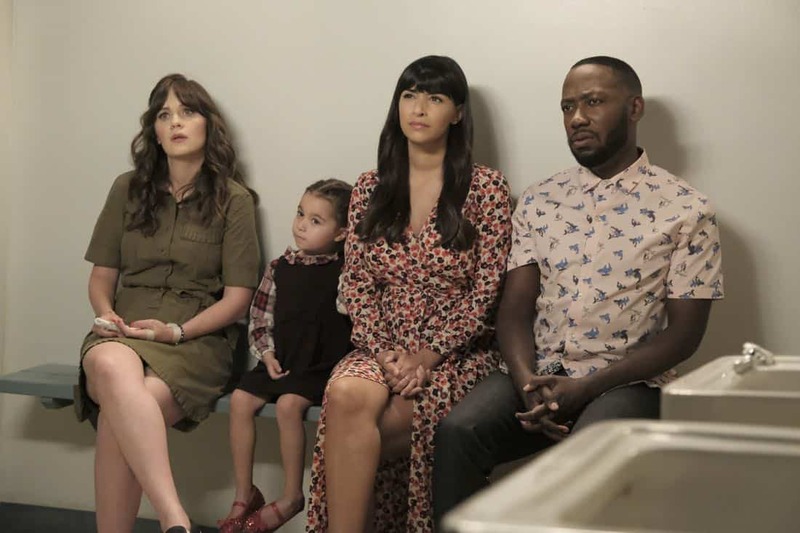 Ensemble comedy NEW GIRL takes a modern look at friendship and romance, as a group of five friends attempt to find their respective places in the world, while begrudgingly accepting the responsibilities of adulthood – with often hilarious results. 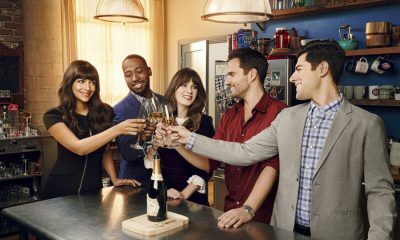 The series stars Zooey Deschanel as Jess Day; Jake Johnson as Nick Miller; Max Greenfield as Schmidt; Lamorne Morris as Winston Bishop; and Hannah Simone as Cece Schmidt. 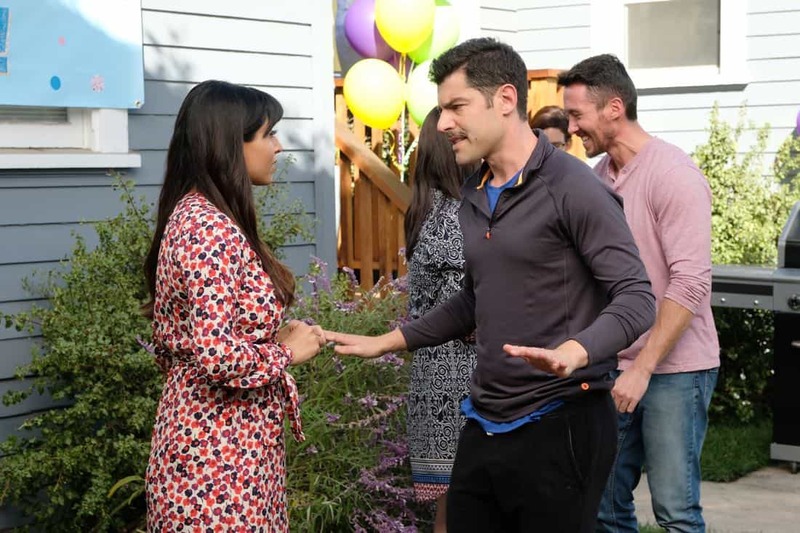 As the series’ sixth season came to a close, Jess told Nick of her true feelings for him. 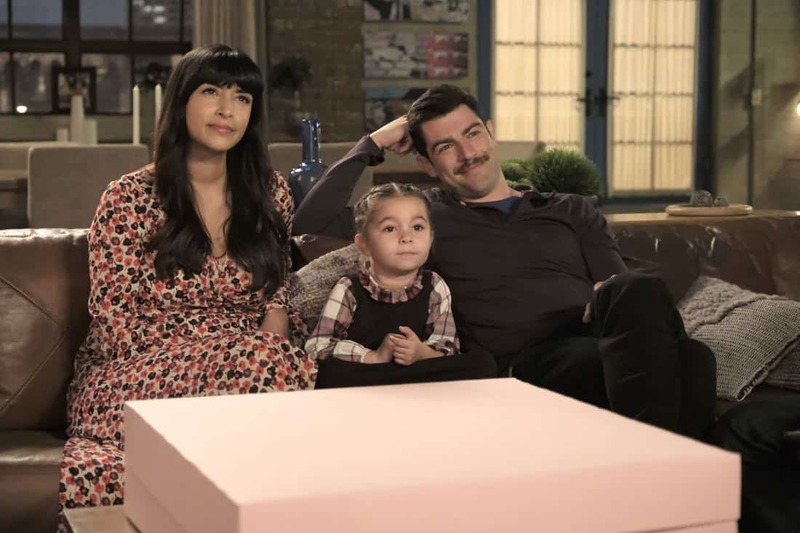 Also, Winston and Aly (guest star Nasim Pedrad) got engaged, and Cece and Schmidt received news that they are expecting. 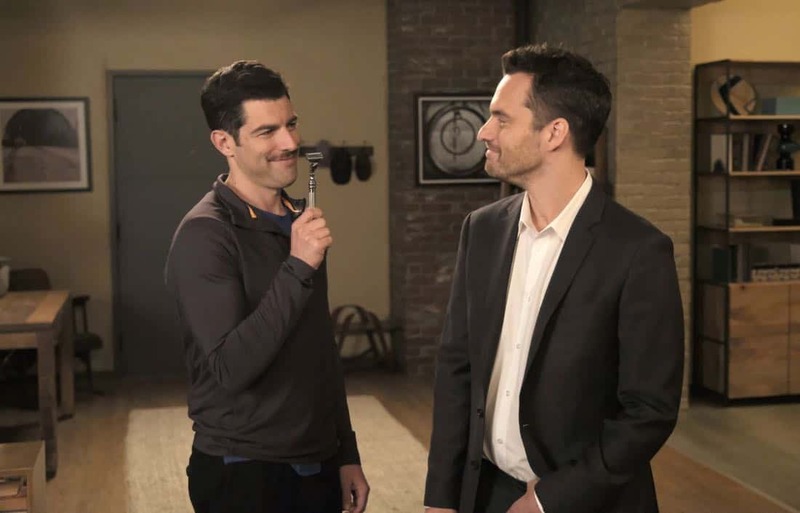 When the series returns for its final season, a three-year time jump will have occurred. 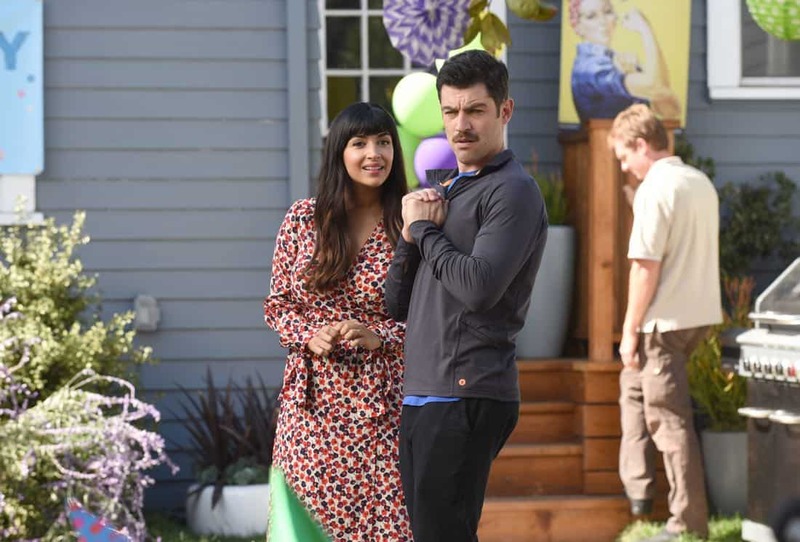 Jess and Nick are happily together and returning from a whirlwind European book tour; stay-at-home dad Schmidt and working mom Cece are raising their daughter, Ruth; and Winston and Aly are married, with a child on the way. 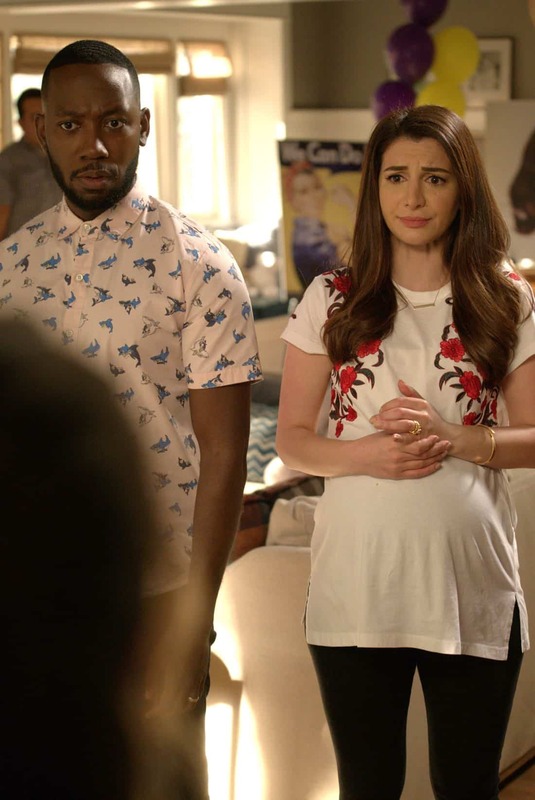 In addition to Nasim Pedrad, the final season will feature the return of many of the series’ notable guest stars, including Damon Wayans, Jr., Dermot Mulroney, David Walton, Nelson Franklin, Sam Richardson, Jamie Lee Curtis and Rob Reiner. 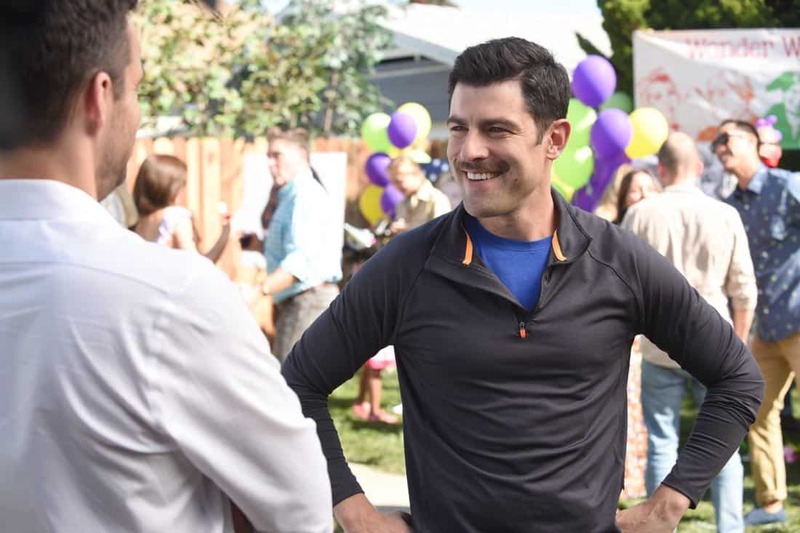 JB Smoove (“Curb Your Enthusiasm”) and Tig Notaro (“One Mississippi”) also will make their series debuts in guest-starring roles. 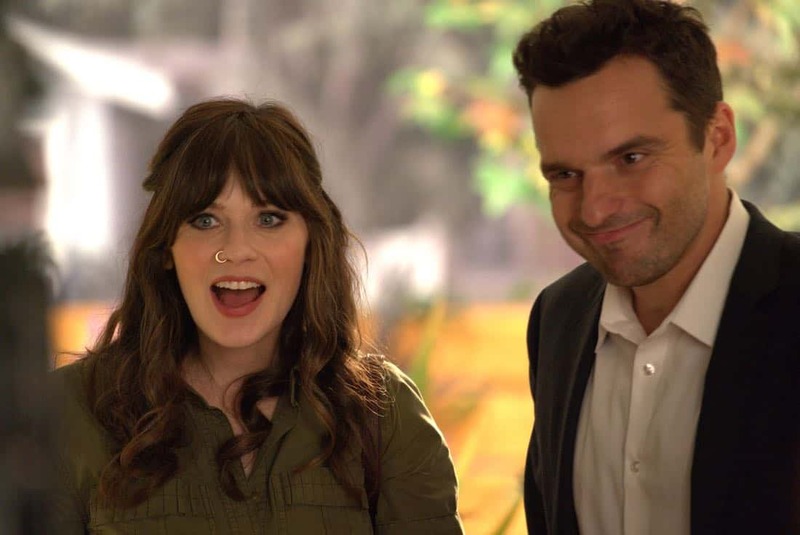 Premiering on Sept. 20, 2011, NEW GIRL has been nominated for five Emmy Awards and five Golden Globe Awards. 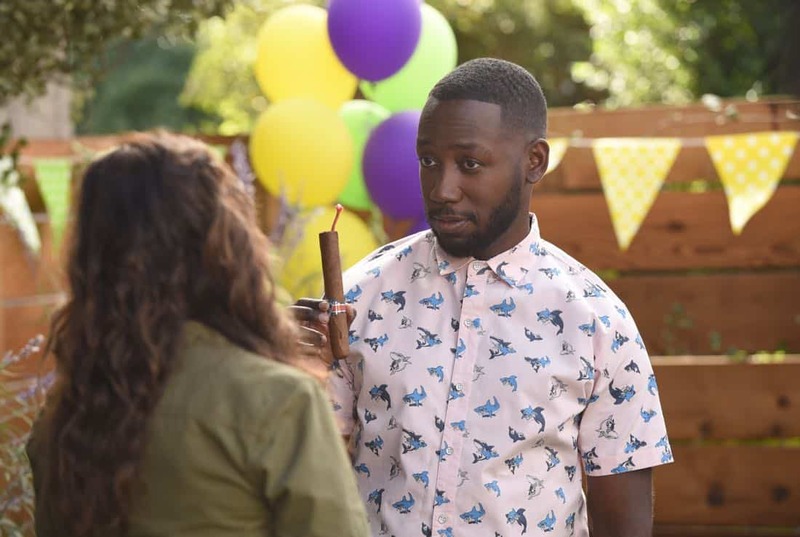 In its debut season, the series earned a Writers Guild Award nomination for Outstanding Achievement in Television – New Series, and more recently received a nomination for Outstanding Achievement in Television – Episodic Comedy. 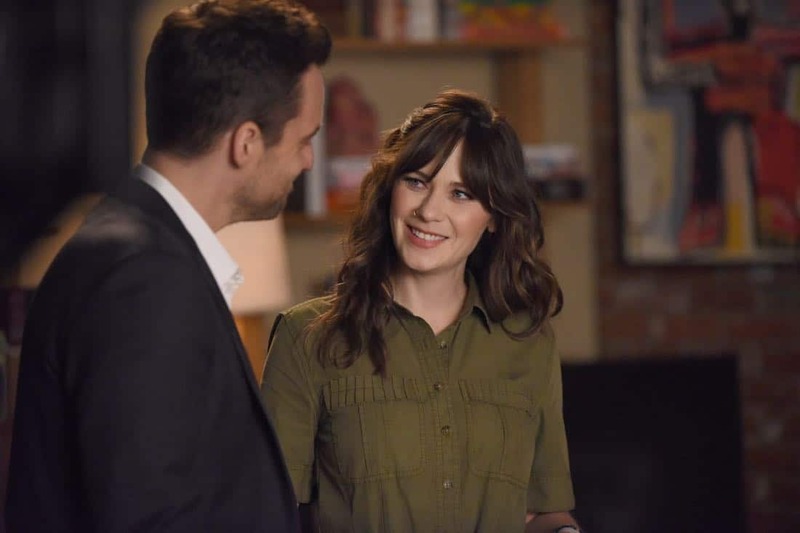 NEW GIRL is produced by Chernin Entertainment in association with 20th Century Fox Television. 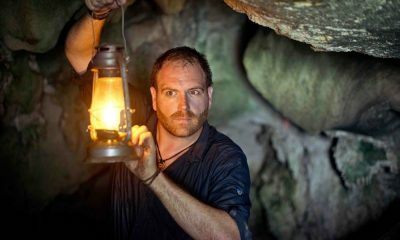 The series was created by Elizabeth Meriwether. 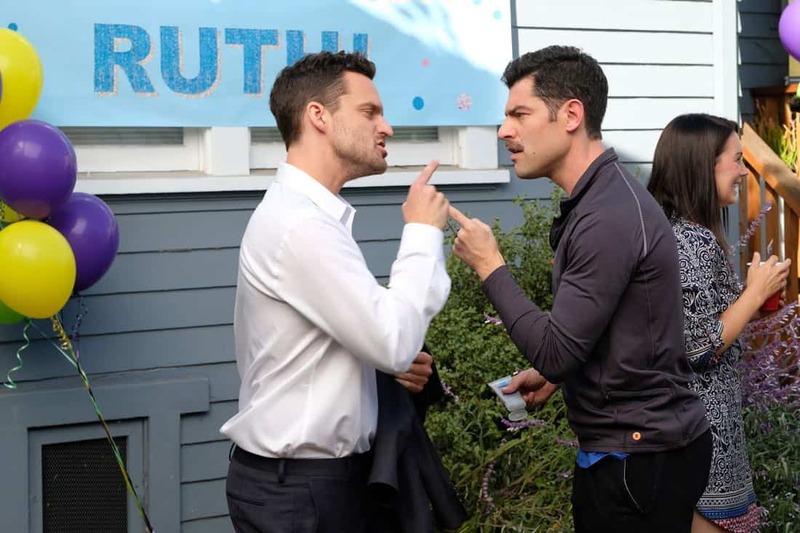 Meriwether, Brett Baer, Dave Finkel, Jake Kasdan, Peter Chernin, Katherine Pope and Erin O’Malley are executive producers, with Meriwether, Baer and Finkel serving as co-showrunners/writers and Kasdan and O’Malley directing multiple episodes of the series.